Premium Arcadia Synthetic Paper for Home Printers | Call Us at 844-624-3437 With Any Questions! 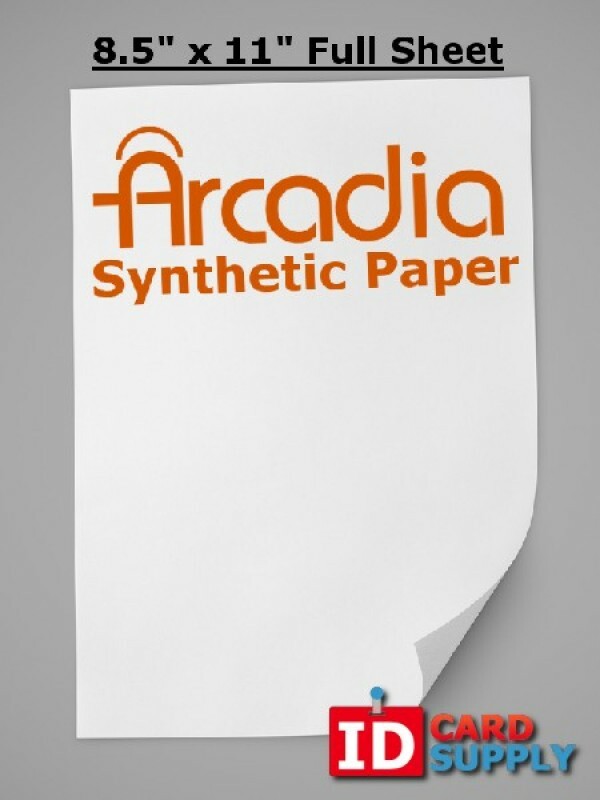 For the highest quality images, try our premium Arcadia synthetic paper! Each 8.5 x 11" sheet will produce images that are waterproof, tear-proof, and resilient to anything else that you can throw at it. Compatible with inkjet and laser standard printers this product is ideal for a menu, diploma or certificate, map and, of course, at home ID making.